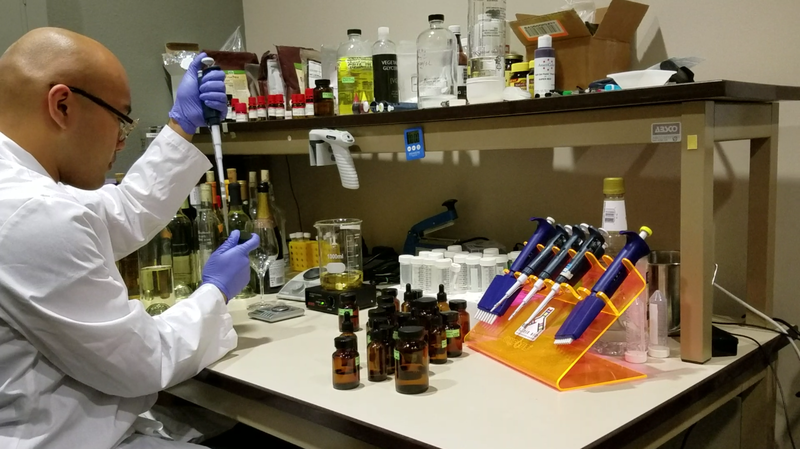 You’ve heard of turning water into wine, but Alec Lee and his founding team of bioengineers have taken to their San Francisco laboratory to turn molecules into wine. “We create the wine without any grapes, yeast or any kind of fermentation,” Lee, the founder of Ava Winery, told TechCrunch. Ava does this by analyzing molecular profiles of select wines and reconstructing them as a bioidentical match to more expensive wines, like an $11,000 1973 Chateau Montelena Chardonnay, which essentially put New World wines on the map for the industry. AVA in the wine industry stands for “American Viticultural Area,” and the startup’s name plays on it as a wine made in an American lab. The claim to make wine from a group of bonded atoms sounds a bit like alchemy, but Lee swears his products are the real deal. Right now the startup is focused on replicating three wine clones — a Moscato d’Asti, a Dom Perignon and they just started work on a Pinot noir. But quantifying right out of the bottle is tough to do. Lee told me the biggest challenge is figuring out the concentrations of the different molecules. Each wine has between 80 to 200 compounds with both synergistic and anti-synergistic effects all in play to make it taste, feel and look the way it does. “The goal is to get to a point where you just need a glass worth to identify the molecules,” Lee said. Ava’s wine cloning lab in San Francisco. He sees Ava eventually getting into other luxury goods, like chocolate and coffee, but there are a lot of different wines in the world and the main focus is all on cloning the high-end good stuff for now. Regulation will be another hurdle for the startup. Lee isn’t even sure he’ll be allowed to label his product as wine. “It’s a regulatory dance even though it’s essentially wine, biogenetical wine,” he said. The startup is working on gaining the proper licensing to sell the product right now, but says that will be about six months down the road. The team might go the direct-to-consumer route, and told me they’re also chatting with some big distributors and retailers in the alcohol business to potentially place their wines throughout the world. Ava recently raised $2.5 million in funding from institutional investors with experience in the space, but did not want to disclose just yet who those investors are. The founders are presenting their product for the first time to investors, biotech enthusiasts and press at IndieBio SF’s demo day today — and, by the way, you can watch the live stream of the event on TechCrunch. They’ll be joined by a batch of startups making everything from a better coffee foam to mushroom clothing.